August 16, 2017 – Blue Canyon Technologies (BCT) has been awarded a contract by Aurora Flight Sciences to build and test a new 6U-class CubeSat bus for the Deformable Mirror (DeMi) demonstration mission led by the Massachusetts Institute of Technology (MIT) Space Telecommunications, Astronomy and Radiation (STAR) Laboratory and funded by the Defense Advanced Research Projects Agency (DARPA). Under the terms of the contract, BCT will deliver the instrumentation-ready 6U spacecraft bus to MIT. MIT is providing the microelectromechanical system (MEMS) deformable mirror (DM) instrument for the mission and will spearhead integration of the DeMi payload. BCT will test the bus functionality of the spacecraft prior to delivery of the spacecraft. Aurora Flight Sciences is managing the project and systems integration. 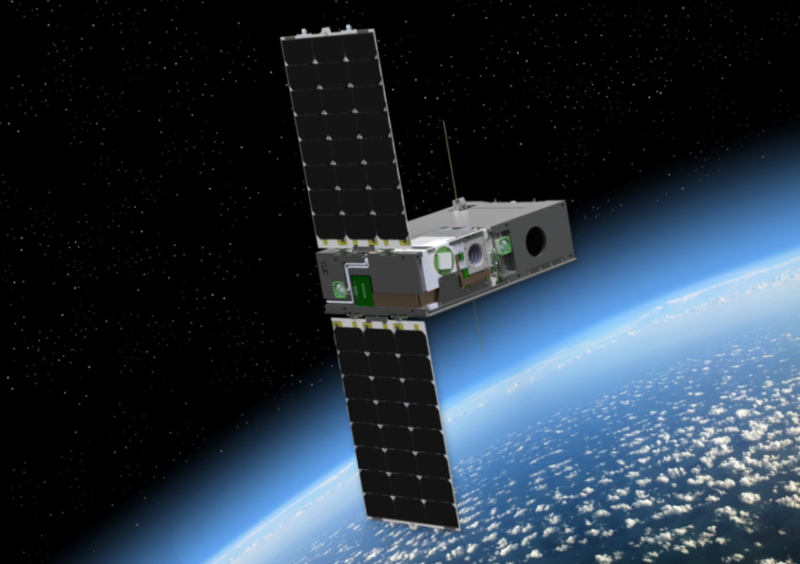 BCT’s 6U spacecraft is a high-performance CubeSat that includes an ultra-precise attitude control system that allows for accurate knowledge and fine-pointing of the satellite payload. The highly integrated design also maximizes payload volume. “BCT is pleased to be selected by Aurora Flight Sciences and MIT for contribution to the DeMi mission. BCT is leveraging our increased manufacturing and test capability to build the DeMi spacecraft and to meet the needs of the growing small satellite market. BCT is currently designing and building 37 spacecraft on 20 different missions,” said George Stafford, BCT president. The objective of the DeMi mission is to fly a 6U CubeSat with a wavefront sensor to demonstrate and characterize the operation of a MEMS DM in low Earth orbit (LEO). Deformable mirrors are used to correct both static and dynamic optical aberrations in optical systems, with applications such as improving contrast in astronomical imaging, or in free-space optical communications, for coupling laser light into a single-mode fiber for optical preamplification. The DeMi mission aims to provide on-orbit performance qualification of MEMS deformable mirrors for closed-loop wavefront sensing. DeMi plans to include an internal laser and wavefront sensor for mirror characterization as well as a small telescope to demonstrate closed-loop wavefront control on a star. The 6U spacecraft is being developed at BCT’s Spacecraft Manufacturing Center located in Boulder, Colorado. The office and laboratories are designed specifically for high-volume production of spacecraft systems and components, with the manufacturing capability to handle large constellations of small spacecraft.